Ridge to Reef Farm was recently mentioned as one of 10 farms featured by the Travel Channel to work and stay. We currently have internship and Apprenticeship positions available. Scroll down for more information. Ridge to Reef Farm is seeking experienced, reliable, hardworking, and dedicated individuals for intern and apprenticeship positions, for Summer and Fall 2018. *If you are seeking information on entry level internships or apprenticeships, please click here for more info and application. This site is also located in the rainforest. It is located on a very old St Croix estate that our farm has revitalized into a major part of the local Farm to School movement. This position includes but is not limited to grounds maintenance, museum tours, site prep for events, orchard maintenance and tending to the farm pork production. This role is responsible for daily care and management of pigs. This position plays a central role in getting local crops and meats to our island community by coordinating harvests, storage, marketing, sales, and distribution. 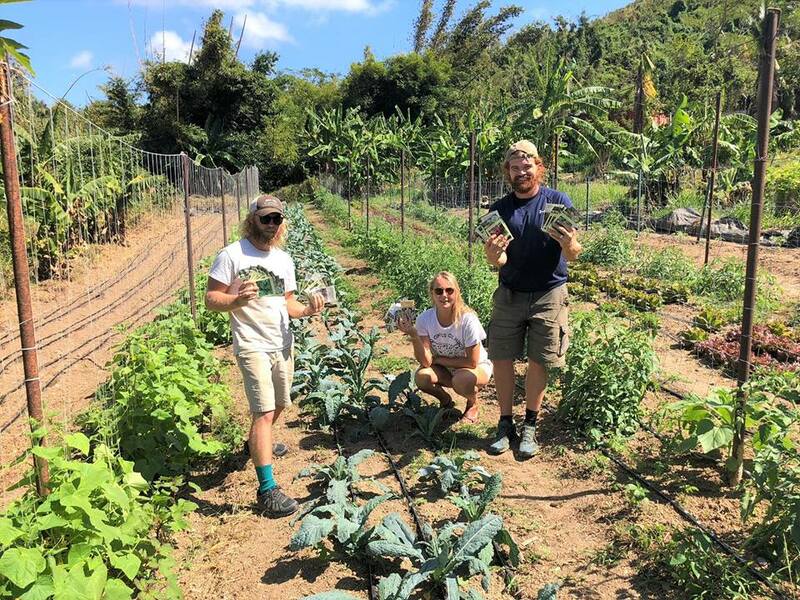 Be a part of rewarding change in the VI's food system by leading the consumer end of the Farm to School program, CSA, farm events, and much more. Must have a clean driving record (minimum age of 26 for driving insurance coverage), experience in farm crop/meat handling and marketing, and superb communication/organization skills. Applicable references are required. Download the official announcement and application package below.﻿ Please do not contact us until you have read the document below in its entirety. Serious & qualified applicants only, please!